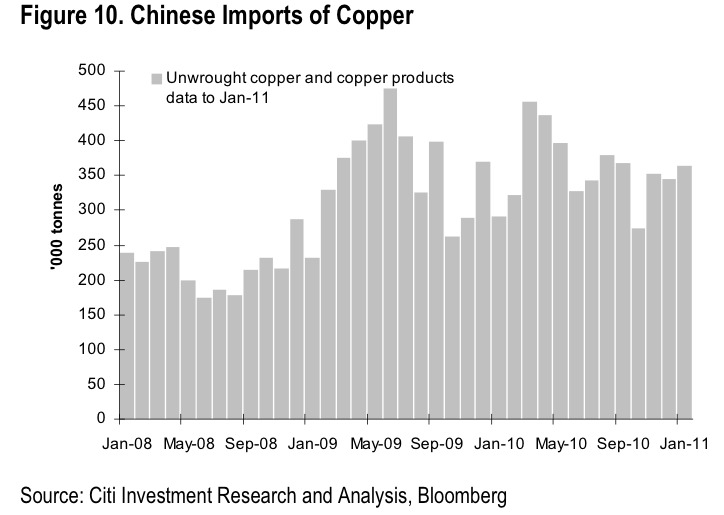 Sorry China bears, but the much-hyped commodity slowdown of 2011 isn’t materialising. 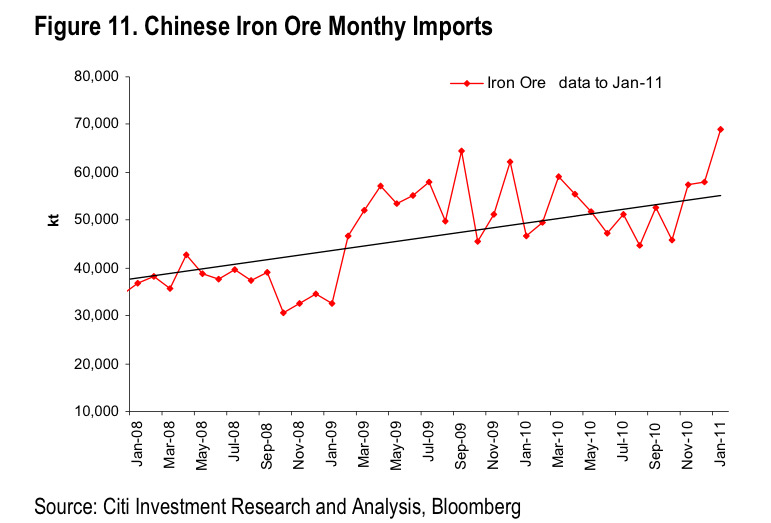 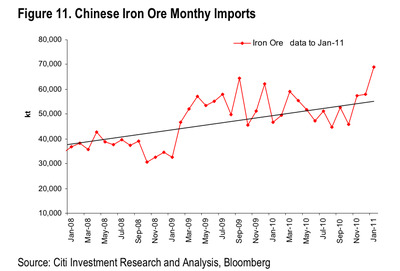 Fresh import data showed surprise jumps in copper and iron ore demand in January. Sequential contraction is what was expected.